Little Mao will make its world premiere at the TIFF Kids International Film Festival taking place in Toronto from April 10-22. Tickets will shortly be on sale here. Writer-director Allan Tong is honoured to publicly unveil the film at this presitigious event and locale. "I personally thank my talented young cast and hard-working grown-up crew for making a fine film last year," says Allan. "I also thank Chairman Mao Tse-tung for his inspiration, and my parents for taking me to see China when I was child as old as my lead actor, Kevin Wang." 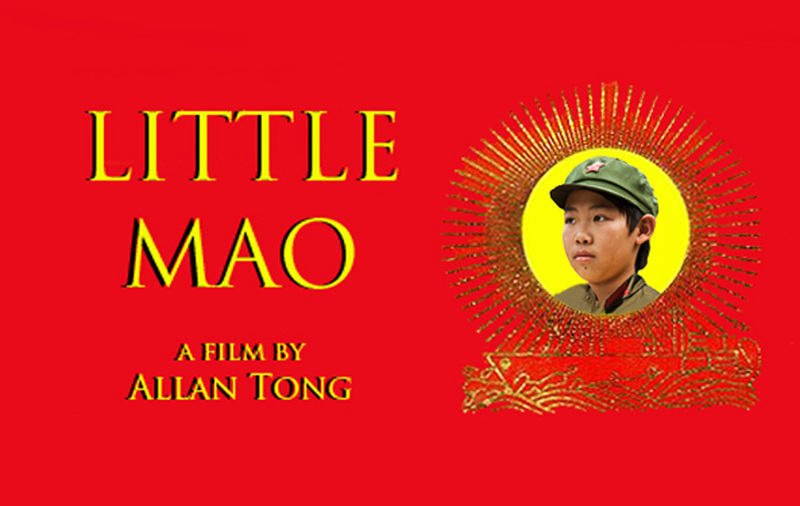 Little Mao was supported by Bravo!FACT, The Ontario Arts Council and The National Film Board of Canada. Special thanks go to the friends and families of Allan and producers Sonya Di Rienzo and Austin Wong. Little Mao is one of 60 short films selected by TIFF Kids. Formerly known as Sprockets, TIFF Kids is celebrating its 15th year as one of the top children's film festivals in the world. Last year, 20,000 filmgoers enjoyed its program of features and short films. Further screenings will be announced here. For instant updates, please subscribe to this blog or join or fan page on Facebook.